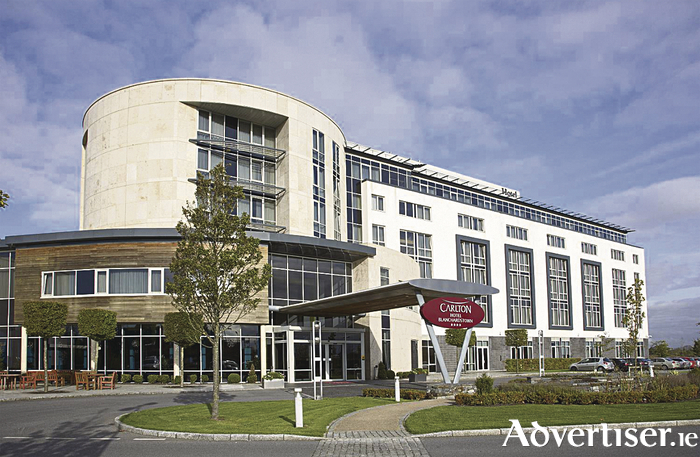 The bustling four star Carlton Hotel, Blanchardstown, Dublin, is a luxurious, contemporary, lively, hub with 155 beautifully appointed bedrooms and impressive conference and banqueting facilities. It is a well-known and very popular destination for couples, families, and ladies' groups, where shopping, going to the theatre, or horse racing is a must. This hotel easily connects many of Dublin’s most popular tourist destinations which are right on the doorstep. There is no shortage of things to do. Places of interest include an array of shopping options such as the well-known Blanchardstown retail parks and shopping centre, with Liffey Valley and Omni shopping centres and Charlestown just minutes away. Enjoy free car parking and WiFi as you park and explore. The Carlton Hotel's Indoor and Outdoor Wedding Showcase is being held on Wednesday October 25 between 6pm and 9pm. See the beautiful Greenwich suite set up for your special day, and meet the dedicated wedding co-ordinator who will be delighted to discuss your wedding and make it a day to remember. A playground for adults… no matter how many times you stay each time will be different. For more information see www.carlton.ie, phone +353 1 827 5600, or email [email protected].